The Pairi Daiza mobile app, the sweatest animal park in Belgium, is a chance to explore it in a fun & interactive way. 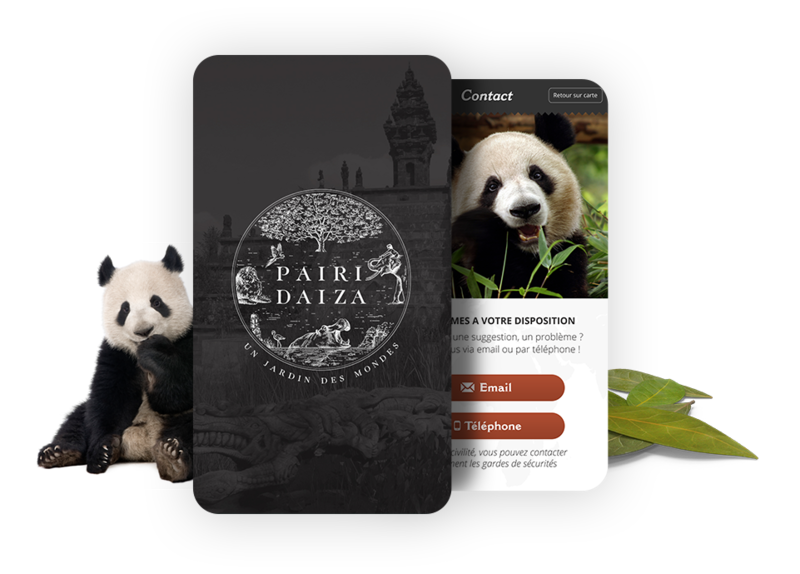 As our smartphones took fully part of our daily life, Pairi Daiza had to propose its visitors a complete new way to explore the park. 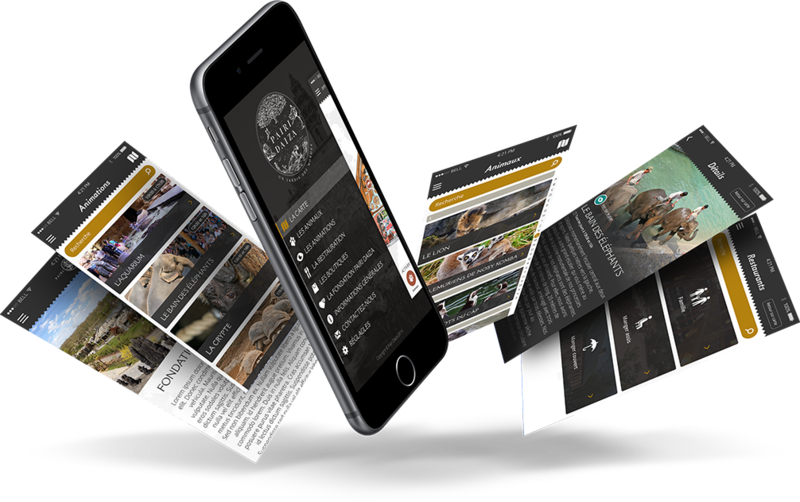 That's what we did by creating Pairi Daiza mobile app. Visitors can now access exclusive content, an interactive map to discover the park, and also informations about every single animal in the park. 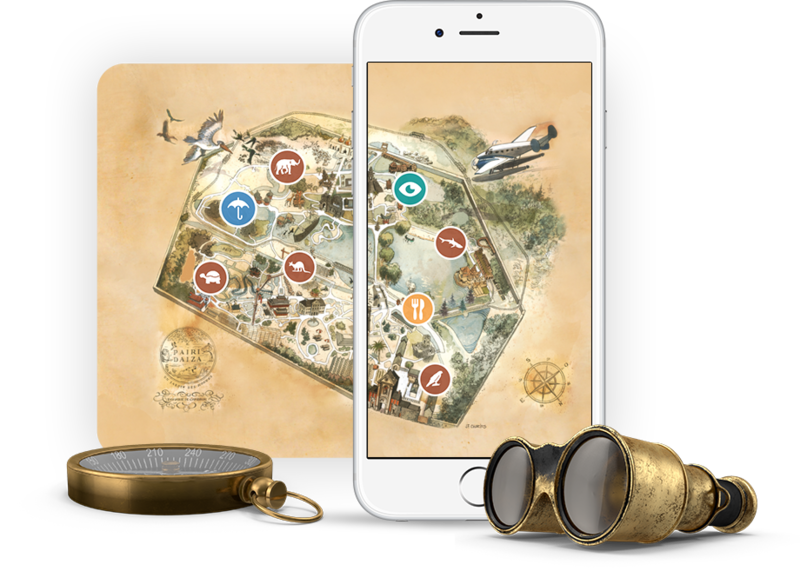 Our interactive map will help visitors finding their way within the park, and by activating the filters, they will be able to find exactly what they are looking for! Asian elephants? Chinese giant Pandas? Lemurs from Nosy Komba? Find out everything about them! Easily search for every single animal in the park, and learn about how they live, where they come from and everything else you need to know about them.